With Summer Here, Dr. Richard Buckley Begins Awareness Campaign For Sun Spot Prevention. Years of sun exposure can result in unsightly age or sun spots and sagging skin. It helps to know about prevention, but if it’s too late for that, Dr. Richard Buckley says today’s effective treatments for sun spots range from noninvasive Fraxel and Fotofacial treatments to more aggressive Fraxel options. Many welcome the end of the winter months, embracing the warmth and sunlight. 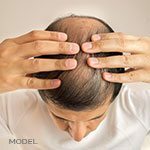 But once the heavy winter clothes, including gloves, coats and hats come off, we see what years of sun exposure can do to the skin. Not only does ultraviolet radiation from the sun and tanning beds cause wrinkles and lines, but also pigmented lesions, which we not-so-lovingly call “age spots.” These flat brown spots, also known as lentigines, can appear on the face, hands, chest, back, hands—even the tops of feet. 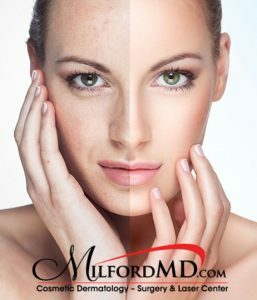 With Summer here, Dr. Richard Buckley of MilfordMD Cosmetic Dermatology Surgery & Laser Center begins awareness campaign to educate patients on sun protection and sun spot prevention. Prevention is first and foremost, and consists of applying sunscreen and wearing sun-protective clothing. Dr. Buckley says he recommends a broad spectrum sunscreen, which protects against UVB and UVA rays, has a sun protection factor (SPF) of 30 or higher and is water resistant. “For people concerned about the chemicals in sunscreen, we recommend a physical block, such as zinc oxide, which does not penetrate the skin but does a great job of blocking the sun’s damaging rays,” Dr. Buckley says. Eating a diet high in antioxidants has also been shown to help skin naturally become less damaged from sun exposure. And some topical agents, especially physician-prescribed topicals, can help to diminish the signs of pigmentation. Among those options: Fraxel Thulium (called the DUAL 1550/1927), re:pair or re:store laser treatments. 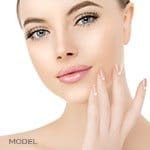 Fraxel, fractional laser technology, revolutionized skin resurfacing technology in 2001 when engineers developed “fractional” resurfacing technology, which creates thousands of microscopic treatment zones per square centimeter, stimulating repair and rejuvenation. The technology encourages the skin’s natural wound-healing response, without creating the wounds and downtime associated with traditional laser resurfacing. “We use several Fraxel devices—each offering a unique treatment option for patients with sun damaged skin,” Dr. Buckley says. The original Fraxel device, Fraxel re:store, takes as little as 20 minutes for a full-face treatment. Fraxel re:store treatment is FDA cleared for not only age or sun spots, but also acne scars, melasma, skin resurfacing and more. Most patients need from three to five sessions for effective treatment of sun spots, but results are noticeable after most treatments, according to Dr. Buckley. Fraxel DUAL 1550/1927, which is a non-ablative technology that combines re:store and the Fraxel Thulium, is especially exciting for the treatment of sun spots. It’s in the middle of the Fraxel technologies in its aggressiveness. This is ideal for patients with moderate sun damage, but who don’t want to endure the recovery of a more aggressive treatment. The Fraxel re:pair laser is for more dramatic skin rejuvenation, which includes erasing sun spots. Patients with extensive sun damage can benefit from this device, which treats the skin without the prolonged downtime, risks and complications of conventional ablative lasers. It’s an ablative treatment, meaning there is a recovery and downtime involved, but it’s not as long as with traditional CO2 laser treatments.